So you have hit upon a killer idea for your mobile app. That’s great. Here comes a reality check. Getting an idea of a mobile app is one thing. But turning it to the actual product is quite another. To turn those ideas into reality, there are many things to consider down the road, from developing to marketing. Let’s talk about the developing process first. Developing an app is expensive as it can cost you anywhere from $3,000 to $100,000, depending on the type of your app. Remember, this is just the basic cost. You need to pay for operational overhead, marketing, hiring, and other expenses as you proceed. It’s OK if you are independently wealthy. If not, you need to raise money to bring your app idea into life. Frankly speaking, you have to raise money for your app, or it ends up just being a waste. Don’t lose heart! Outside investors are a popular way to get your mobile app funded. They are a savior if you are running short with your personal cash or fail to get money from your friends or family. But it takes you to come with an elevator pitch to impress them in order to secure your funding. They like to know how your mobile app will work to generate ROI. An effective pitch means they are more likely to give you the nod. Enter mobile app prototype. It is a great way to show them how and why your idea can work. It is really a good idea to create app prototype before you start developing it. Wondering Why? Mobile app prototype is a testable model of an app to determine the look and feel of the actual app. It demonstrates the value of your app to potential investors. This makes difference as stakeholders are likely to hesitate to put on their money in the products that are not tangible. Besides, it would be easier to explain your product to some investors who are “non-technical” or not well versed with coding or wireframes. This way, you can get quick feedback and approval. Here I have rounded up some benefits of using a prototype to convince investors. Given that a prototype is almost identical to your actual product, it shows the investors that if your idea is implementable or not. To give them an impressive demonstration, make it a pitch-perfect by reviewing it for flaws unless you end up with the one that can clearly express your vision and theory to the investors. Once you make sure that it goes right with your idea, you can demonstrate it to the investors. Investment is a cynical business, not a charity. Investors like venture capitalists put money on the project that is promising. They like to see how much risk involved with it. On the basis of these points, if you have a working prototype, it convinces them to take you seriously. This is because a working prototype lets them predict the market possibilities coming with the actual product. This also does matter as the prototype is the way to get your idea tested and validated as well. The prototype also helps investors connect emotionally to the project. For example, it lets them test and feel the functions, thereby prompting them to imagine and understand your product. Consequently, they are likely to get excited. And this emotional connection will make them think positive about your product. Therefore, chances are more than they approve funding for your project. Whether they like it or not, investors can let you know their reviews about the product. It is great if you get positive feedback. Use bad reviews to figure out the problematic areas in your prototype so that you can refine it as possible before taking it to the next round or other investors. I personally think that prototype is better for understanding the loopholes in the project than the benefits, which is also a positive thing, as it helps you and your investors figure out what further resources are required. The striking advantage associated with the development of the prototype is that it clearly explains how the app would function as well as the user flows across the app. For example, investors can understand how your food delivery app works as they can interact with interface and images in a prototype. A prototype gives the investors the validation of its profitability and potential as well. By showing the exact flow of the app along with the features that will be present in the real app, prototypes ensure investors about the success of the app. So you must have understood how the prototype can help you get fund from investors for your mobile app. However, the work is not over by just creating a prototype. How will you convince them that your app is worth putting money? This is because their inbox is generally laden up with thousands of prototypes from other app startups. It simply means that you need to make a promising case if you want them to put money on you. An effective app prototype will help your project stand out from the rest and give you a competitive edge as well. While a prototype doesn't need to be cutting edge, or be built to scale, make sure it is able to transform your concept into something tangible, something real. For less tangible things, like the mobile app, it should replicate the look and feel of the actual product on relevant hardware. Make sure to make your app prototype more convincing, more effective by considering the things given below. How your app can benefit them or solve their problem? Once you have identified your target audience and their concerns, ponder over the product requirements like features and functionality. From the menu to the animation, all features should be relevant to the concept. For example, if you are building a food delivery app, the key functions would be CTA button for food delivery, list of the nearby restaurants, order tracking feature and customer feedback. You can add other features once you convince that you have a concept that resonates and your app is something people are looking for. Consider what type of app prototype will work. It can be a simple sketch or a full prototype with visuals. Low fidelity prototypes are meant for testing the functionalities while high-fidelity prototypes are almost identical to the original app. High fidelity prototype includes features, functionalities, and visuals. There are many app prototype tools to build interactive prototypes. Last but not least—share your prototype with the investors. Scheduling a meeting with them will be your first step. To reach out to them, send them an email that includes the highlights of your mobile app. Once your meeting is scheduled with them, come prepared with a great pitch and your prototype. 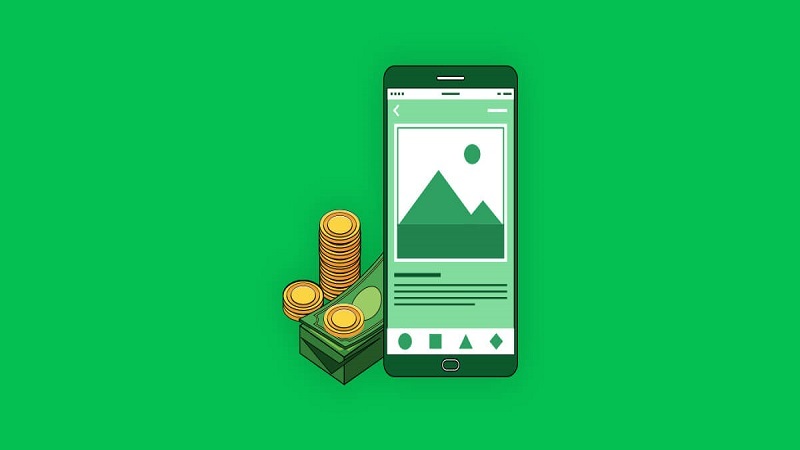 From angel funding to app contests, there are many ways to get your app funded with a prototype. Angel funding or seed funding is popular among startups and small entrepreneurs. In this type of funding, investors generally invest in business ideas that are appealing. Besides, you can take part in app contests in which app prototypes are tested and reviewed. Over the years, crowdfunding has emerged as a viable option for getting fund. In this funding type, a large group of people puts their money on your mobile app. As an added bonus, it shows that there is a validated demand for your project. This way, it attracts other investors' attention. It also gives you an opportunity to turn your backers or investors into your customers. Some popular crowdfunding platforms are Kickstarter or Indiegogo which have been helping entrepreneurs raising funds for their project. The prototype is a great way to convince investors to put money on your project. As I said earlier, ponder over your market, functionality and product requirements to make a promising prototype. It may take time and patience to get the right one built. One thing is for sure—you can win the investors once you get the right prototype. All the best! Athar is a co-founder of Savah App, a product that helps teamswith an all-in-one platform for prototyping, design collaboration, andworkflow.